The Animal-Speak Pocket Guide is a companion to the best-selling Animal-Speak and Animal-Wise books. It contains a dictionary of abbreviated meaning and messages of more than 50 animals. 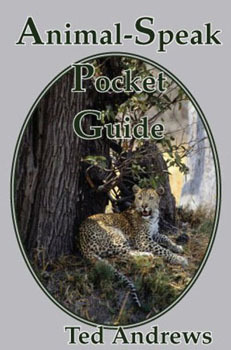 This portable guide will enable readers to begin uncovering the meaning of their animal encounters wherever they go. Initial guidance is readily at hand until deeper study can be done.